Scores of superheroes are set to flood the streets of Salt Lake City. USANA Health Sciences Inc., a global nutritional company, is hosting its annual superhero-themed USANA Champions for Change 5K charity event on Saturday, Aug. 17, at 7 a.m. at the Energy Solutions Arena (100 S. 300 West). Dr. Mehmet Oz, two-time Emmy Award-winning host of the three-time Emmy Award-winning The Dr. Oz Show, will serve as the master of ceremonies for the event. He will also lend his superpowers to lead a warm-up and run alongside supporters of the USANA True Health Foundation, which will receive 100 percent of all proceeds. 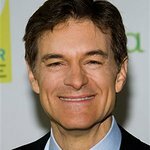 Dr. Oz will kick off the USANA Champions for Change event with a pre-run warm-up alongside celebrity fitness trainer Kathy Kaehler and former WNBA all-star Jennifer Azzi. This event is open to everyone. On-site registration begins at 6 a.m. The warm-up begins at 6:30 a.m., with the race beginning at 7 a.m.
Don’t be ordinary. Be extraordinary! Come dressed as your favorite super hero and run, walk or even leap tall buildings in a single bound to raise money for this worthy cause. To pre-register, visit www.usanafoundation.org. Registrants will receive a free commemorative superhero-themed T-shirt. Participants will also have a chance to win great prizes, including signed memorabilia from the WTA and USSA, tickets to the Discovery Gateway, monthlong passes to 24 Hour Fitness and much more. USANA True Health Foundation is grateful for the support of its many sponsors, which include: USSA, WTA, Utah Grizzlies, California Pizza Kitchen, I Declare, Video Plus, Discovery Gateway, 24 Hour Fitness, American Family Insurance, Harmon’s Grocery, Scheels, Dahlia’s Flowers, Dr. Volt’s Comic Connection, United Concerts, Office Depot, and Arco Packaging.